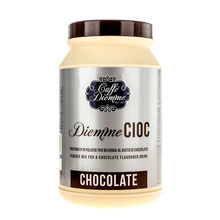 Diemme is an Italian roastery founded in 1927. Managed by the 3rd generation of the Dubbini family, the brand combines tradition and innovative business solutions. The 80 years of experience are visible in the professional approach to brewing and in the end – the taste of coffee and chocolate. 1 kg Sort by: Price (Low to High) Price (High to Low) Product name a - z Product name z - a Highest rate Lowest rate New in!